In recent years Spain’s culinary scene has created a number of true food heroes: from Ferran Adrià’s molecular magic at the famed elBulli (which closed in 2011) and Juan Mari and Elena Arzak’s incredible reinvention of Basque specialities to Andoni Aduriz’s exquisite minimalism in the middle of the Basque countryside. Unfortunately, such high-end establishments are now too expensive for most us. So is there a way to enjoy Spain’s top cuisine at more affordable prices? Yes, as it happens, by tracking down the latest generation of chefs and getting a taste of their cooking before fame (or notoriety) takes them to the next level. At the annual Madrid Fusión convention, which takes place from 25-27 January, many of Spain’s best chefs (as well as invited Thai and Filipino chefs for 2016) hold cooking demonstrations, test new ideas and host workshops around a theme or ingredient in front of fellow professionals and the public. 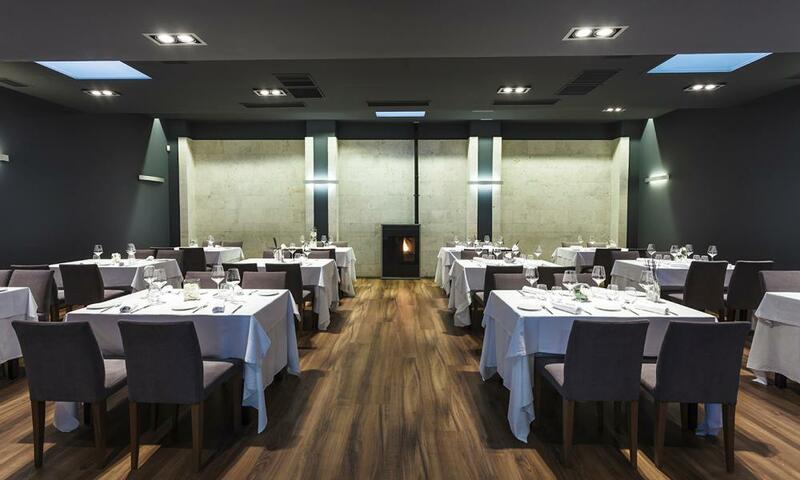 Ever since it started in 2003, it has played a major role in the blossoming of Spanish restaurants. One of several prestigious awards showcases six young talents who have been selected to compete for the title of Revelation Chef, 2016. Checking out their restaurants is a fine excuse for a gourmet journey across the peninsula, without breaking the bank. This cool, small gastro-bar in the uptown Eixample district is where 29-year-old Ana Merino has been wowing Barcelona’s foodies since 2013. 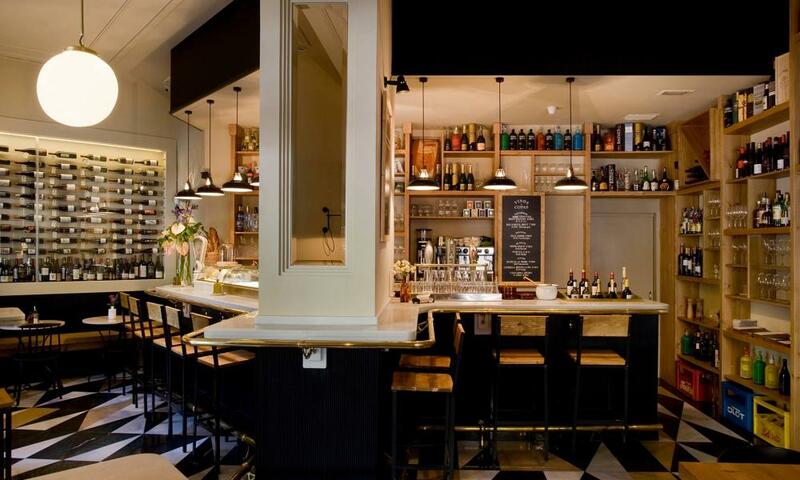 Mont Bar is efficiently orchestrated by Merino’s husband, Iván Castro. As for the chef herself, Santander-born Merino’s experience of working with top Catalan chefs Carles Abellan and Carme Ruscalleda shows in her exciting, creative style. Although anchored in organic Mediterranean ingredients, the tight, seasonal menu has Asian twists, revisits traditional tapas such as croquetas, and features inventive dishes like prawn cappuccino. Outstanding small plates range from cod fritters with quince aioli to chilled almond and coconut soup with mackerel and kumquat. The bar has 250 wines: try the excellent Pago de Capellanes’s crianza at €6.90 a glass. Small plates from €12, tapas €2-€7. Famed for its wayward mercenary son, El Cid, and its gothic cathedral, Burgos is considered an ultra-traditional Castilian city. But on the culinary front it’s all change thanks to the current local upstart, 31-year-old Ricardo Termiño. He spearheaded a fresher approach in 2014, by breaking with food traditions in a conservative city, when he opened La Fábrica. The restaurant is a cool, sophisticated and minimalist place, with a seven-course seasonally-influenced tasting menu for €36, where you find blue fin tuna tataki, tender partridge and truffle ravioli, wagyu beef, hake with peppers, and lobster cannelloni. Budget-eaters can opt for the €16 four-course weekday menu, served as impeccably as the pricier version. A la carte is about €35-€40. From Bilbao it takes just over an hour, driving through green Basque hills, to the remote valley of Carranza. Here lies Casa Garras, an unpretentious family restaurant in a tiny town, very different from the other Revelation contestants. Great tapas and raciones (€5-€8) are served at a large downstairs bar, but go upstairs to indulge in delicious, seasonal dishes from the pans of Txema Llamosas, the third generation of this food-obsessed family. You’ve come this far to eat at the table of a chef who has worked with both Adrià and Arzak, the two greats of Spain’s gastro-revolution. 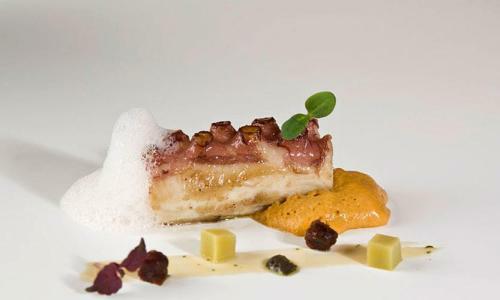 Push the boat out and order the 10-course, €62 tasting menu. If not, the €44 menu may feature a creamy cod salad with potato, poached onion, tomato and mayonnaise or a succulent local sirloin steak with wild mushroom foam. 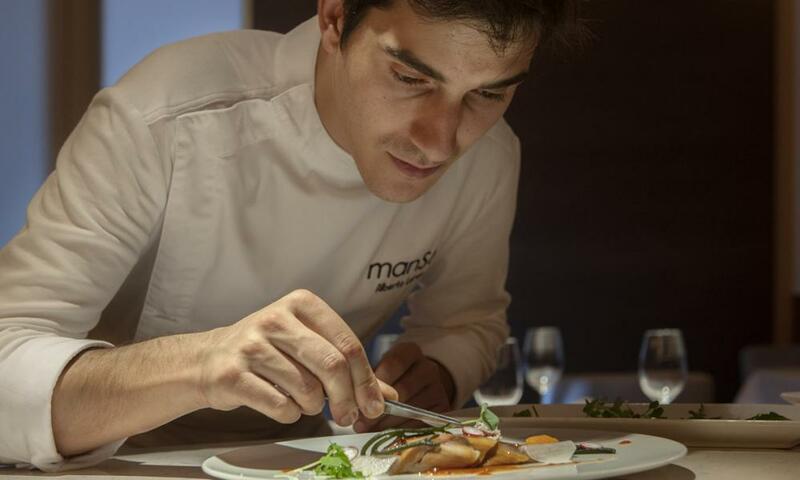 Galicia is renowned for sumptuous seafood that almost leaps from the Atlantic onto the plate, something that local chef Alberto Lareo showcases at his restaurant, Manso, opened in 2013. But he is equally aware of the quality of Galician beef, of wild mushrooms and the wealth of organic vegetables grown in this lush, windswept region. Although trained in Santiago, Lareo gained experience working in France, which is evident in his meticulous presentation. Try the squid ink croquetas, grilled sea bass with saffron and clementine jus, or cabbage with egg yolk, truffle and almond cream. Manso may not be particularly trendy, nor in the medieval heart of Santiago, but that keeps the swarms of pilgrims at bay. It’s well worth seeking out for the great value €15 lunch menu, or a €30-€40 dinner. As all roads lead to Madrid, there has to be a representative from the Spanish capital and this one, opened only a year ago, is pretty funky. 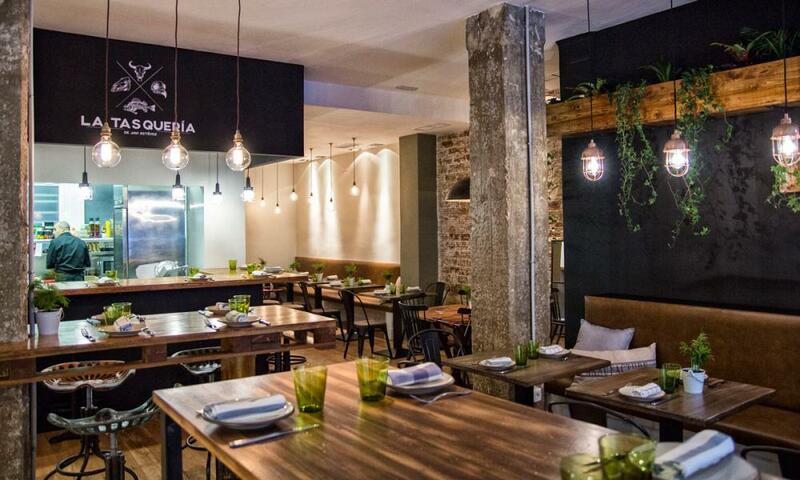 Award-winning 30-year-old chef Javier Estévez, originally from Galicia, specialises in “fine offal” (beef, lamb or pork), which is served in this airy, industrial-style tavern of exposed brick walls and suspended bulbs in the well-heeled Salamanca district. Small plates (€8-€10) combine ingredients such as sweetbreads and chestnuts, baby pig’s tail, eel and cheese, or pig’s trotters, artichoke and crayfish. The menu also has modish Kilner jars (containing, for example, partridge and apple with sherry) if you want to bypass the offal, and desserts such as cheesecake with liquorice and beetroot. Budget on €25-€35 for dinner. Traditionally, Valencia means paella – from the rice fields south of Spain’s dynamic third-largest city – but at Lienzo your rice is more likely to come as a duck and octopus risotto or envelop kid goat with black lime (Persian loomi). At this smart, modern restaurant the dishes invented by chef Maria José Martinez combine unexpected flavours and impressive technique with minute attention to detail. 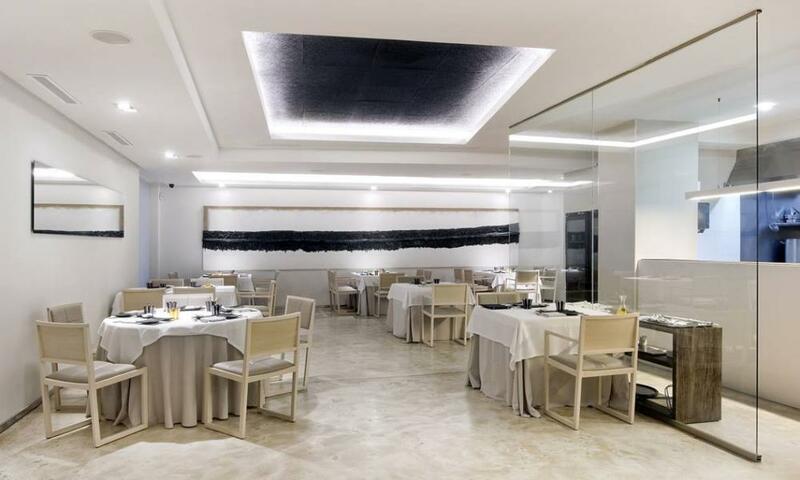 It’s not a surprise to learn that Martinez worked with three-Michelin-starred chef Quique Dacosta, at El Poblet, also in Valencia – a somewhat pricier stop-off. Lienzo’s self-styled “gastrotapas’ menu (€27) might include “crack” roast beef, black garlic and red onion caviar, or treat yourself to the chef’s menu (€55). Piglet with charred leeks and pak choi is just one highlight. A la carte it’s about €35-€40 (without wine), and the lunch menu just €19.